It's that time again! 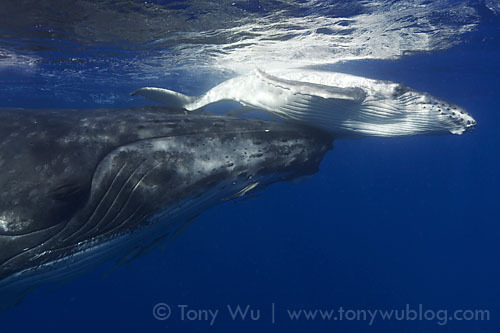 Time to plan next year's schedule of trips to swim with humpback whales in Tonga. Please read on for trip details. Trip 1: 9 to 14 August 2011 (arrive 8 August, depart 15 August, six days on the water), staying on Mounu Island. Six people maximum. 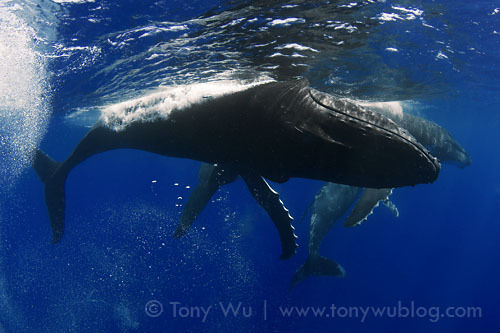 Note: This trip will be part of the official launch of Project Whalesong (working project name for the time being), an initiative I'm kick-starting to establish a consistent, long-term humpback whale acoustics data collection program in the waters around Vava'u. I've enlisted the help of Dr. John Potter (a real, live PhD!) and several whale watch operators in Vava'u, so this will be a cooperative effort that I hope will produce a lot of interesting data and insight like my calf count project has. I'll spell out more details about the project in a separate post. In the meantime, please read my first post from this season for background information about the inception of this project and also about John. To be completely clear, just because I'm kicking off an acoustics project during this trip doesn't mean we won't look for other whales. Far from it! We will get in the water at every reasonable opportunity, because..well…there's no way to keep me out. Trip 2: 21 to 30 August 2011 (arrive 20 August, depart 31 August, 10 days on the water), staying in town. Fully booked. Believe it or not, a bunch of people who travelled to Tonga with me this year have decided to come back for more. Go figure. Trip 3: 2 to 11 September 2011 (arrive 1 September, depart 12 September, 10 days on the water), staying in town. Six people maximum. 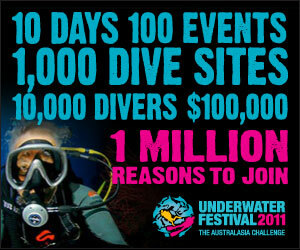 Note: This trip is an official Underwater Fringe Event, in association with the Underwater Festival 2011 and the Oceania Dive Expo (ODEX), which is scheduled for 30 September to 2 October, 2011 in Brisbane. What this means in practicality is that if you join this trip, you are automatically in the right place at the right time to try to capture outstanding images of humpback whales to enter in the 10-day shootout associated with ODEX. Of course, you don't have to be interested in any of the event activities to join this trip. Our primary objectives, as always, are to have fun and learn what we can about the whales. Trip 4: 13 to 18 September 2011 (arrive 12 September, depart 19 September, six days on the water), staying on Mounu Island. Fully booked. Scenes like this qualify for contest category Big Stuff! Trip 5: 9 to 13 August 2011 (board 9 August, get off the boat 13 August, four nights on the yacht) and Trip 6: 16 to 20 August 2011 (board 16 August, get off the boat 20 August, four nights on the yacht), both trips staying on board Jocara. Four people maximum per trip. Dr John Potter will be leading these two trips aboard Jocara, the same yacht that we used this season to commence work on our acoustics project. 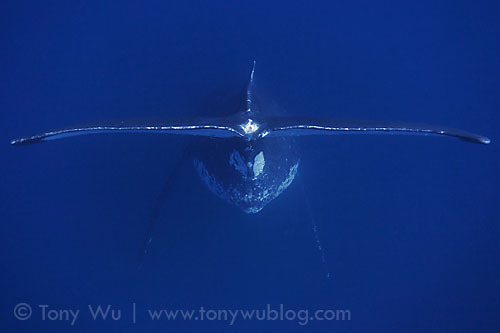 John will be in Vava'u to kick-off Project Whalesong (more details to come in an upcoming post), and we'll be working together across different vessels with a variety of whale watch operators to cover as much area as possible looking for singing whales. The start of Trip 5 coincides with Trip 1 above (see how organised we are?). I'll be on other boats during Trip 6, so we'll be in continuous contact throughout. To give you a quick idea of what we're looking for, listen to the following short snippets extracted from two recordings we made this year and see if you can tell the difference between them. Hear the difference? Its a bit easier with headphones and the high-resolution files (these are down-sampled mp3 files), but I'll give you a hint/ riddle: Quality is often more important than quantity, but size also matters. I'll explain in greater detail when I write more about Project Whalesong. In any case, if you're interested in finding singers, recording them, photographing and/ or video-ing them, helping to listen to and analyse the recordings thereafter, or even trying to sing like them, these two trips might be for you. John and I have decided to work from separate boats next season in order to maximise the area we can cover in a given period of time, and also to take advantage of the relative strengths of a yacht (which John will be on) and a speedboat (that I'll be on). John will also give a talk(s) about humpback acoustics during the trips. His two public talks at the Aquarium Cafe this season were extremely popular (there's no accounting for taste). To wrap up…Please contact me if you're interested in any of the above trips. If you'd like to travel during dates that are already booked, let me know. I keep a waitlist, because life can sometimes get in the way of fun, and people occasionally need to cancel (though usually regret it later!). During all the trips, we will continue to gather data for the calf count project, so be prepared to help me look for baby whales!